As the continuous increasing of the transmission capacity, determining the optical fiber communication becomes the major means of transmission in the modern telecommunication network system. Both SFP (small form-factor pluggable) and SFP plus SFP+ transceivers are widely used in this field. But how much do you know about them? SFP Transceiver is a compact optical transceiver used in optical communications for both telecommunication and data communications applications, which are designed to support SONET/SDH, Gigabit Ethernet, Fiber Channel and other communications standards. SFP Transceivers can be acquired with a variety of receiver and transmitter types. 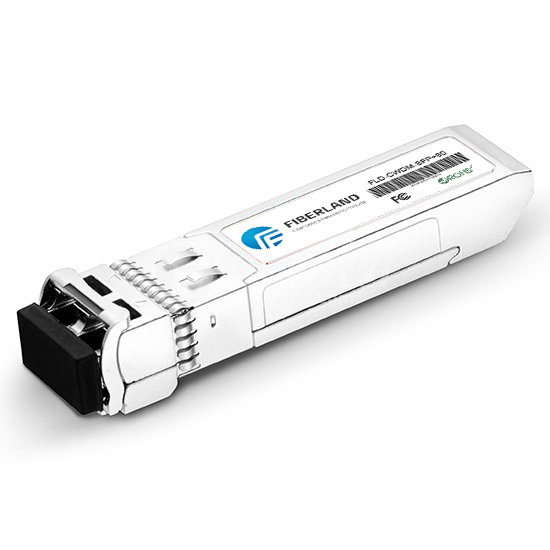 Users can choose the right SFP transceiver for each fiber optic link they are deploying to provide the required reach depending on the type of optical fiber they are using (Multi Mode or Single Mode Fiber). SFP transceivers are available in several different categories including 850 nm 550m MMF (SX), 1310 nm 10 km SMF (LX), 80 km (ZX), 120 km (EX or EZX), CWDM and DWDM. SFP transceivers are also available with a copper cable interface to connect to unshielded twisted pair networking cable. The copper transceiver can be installed into optical SFP slots enabling an optical Ethernet port (1000Base-X) to be converted into a copper Ethernet port (1000Base-T) either in the field or in production. 10G Ethernet products are coming to fit the increasing demand for bandwidth in fiber optic technology today. While, SFP plus is the most popular 10G fiber optic transceiver currently. It is widely used for 10Gbit/s data transmission applications like data center, enterprise wiring closet, and service provider transport applications. SFP plus is the upgraded version of the former SFP transceivers (also called MINI GBIC), with higher data rate and new industrial standards. SFP+ is with more compact size compared with the former 10G X2 and Xenpak transceivers, it has greater ability for density installations. 10G SFP+ is ideally suited for datacom and storage area network (SAN/NAS) applications based on the IEEE 802.3ae and Fiber Channel standards, Fiber Channel 10G, 8.5G, 4.25G, 2.125G, 1.0625G, 10G BASE- SW/SR/LR/ER, 1000 Base-SX Ethernet. Digital diagnostic functions is built in the SFP Plus transceiver, the power consumption is always less than 1W and its excellent EMI performance allow system design with high port density. This is a green product which compliant the RoHS and it will certainly replace the SFP Transceiver Module in next few years. The SFP+ module electrical interface is compliant to SFI electrical specifications. The transmitter input and receiver output impedance is 100 Ohms differential. Data lines are internally AC coupled. The SFP plus module provides differential termination and reduce differential to common mode conversion for quality signal termination and low EMI. SFI typically operates over 200 mm of improved FR4 material or up to about 150mmof standard FR4 with one connector.